Well, it’s been a while since we last sat down and talk. How are things going? Great, Things have been really good for us, we have been very blessed. 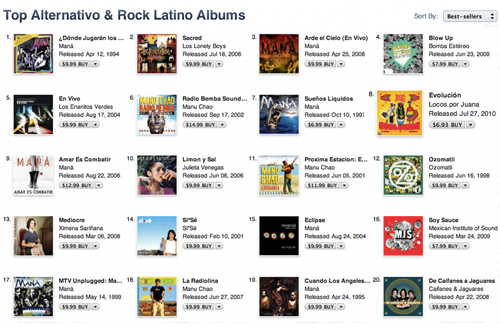 Our new album, Evolucion, was just released on iTunes at the beginning of the month (Aug) and it was the #1 Album on the Top Latin Alternative Albums for the entire first week. Congrats! 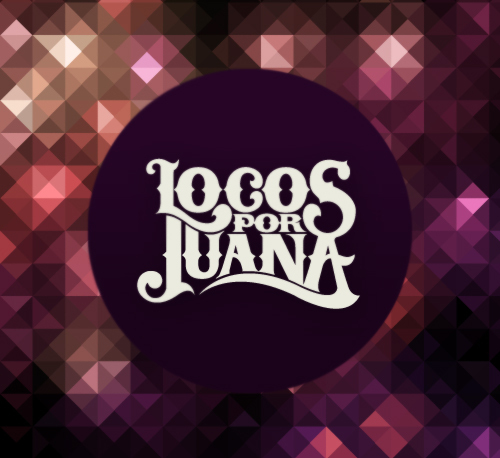 But before we get into that, I mentioned to you that I have received a few emails and questions about Locos Por Juana since my last post about the logo and process behind it. Could you please, for those readers who might not know you yet, introduce yourself and tell us a little about your background as a band? 1st, Thank you for the awesome logo, we appreciate the work you put into it and I think it has had a great response from all of our fans. – Thanks to you guys for allowing me to contribute ;) ! 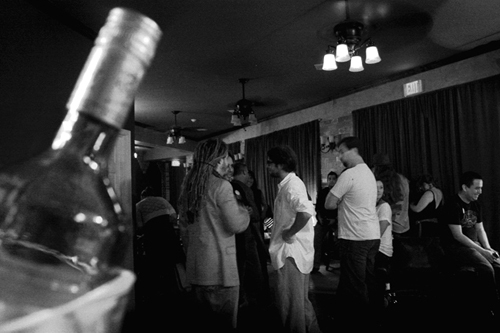 LPJ began around the beginning of the millennium, around 2000, and its been a long and exciting road. We have 4 albums, 2 Grammy Nominations, we have traveled to a lot of beautiful places around the world always meeting beautiful people and sharing our music. We play a mixture of Afro-Colombian rhythms like CUMBIA and CHAMPETA and we mix that with the sounds of el caribe, REGGAE, TIMBA ,SALSA, RAGGA.. then we take that and mix it with the sounds we hear in Miami when we came here like Funk, Rock, Hip Hop/R&B. 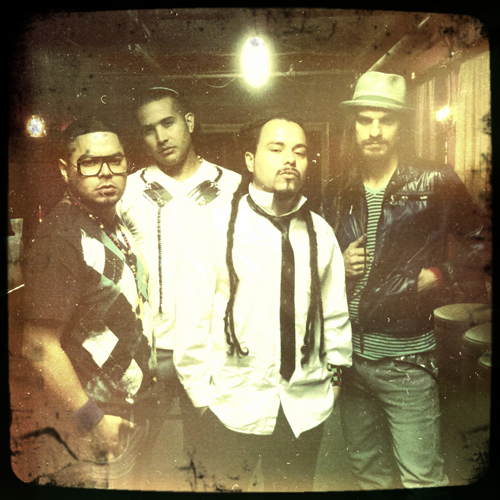 I know you’ve been asked this question before, but how would you describe Locos Por Juana as a band? 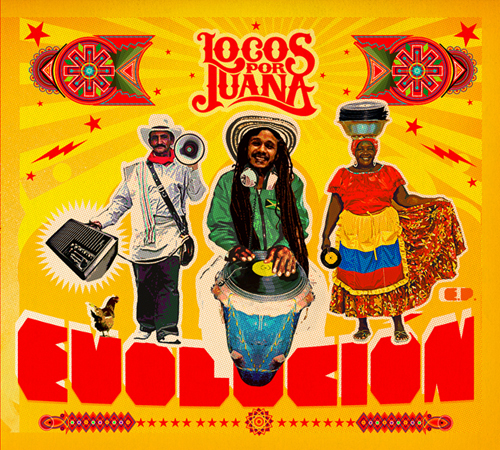 Locos por Juana is a Fun Energetic Party Band. But don’t think you wont get some deep social commentary in the lyrics either… But you must be ready to dance all night..
How do you come up with material? 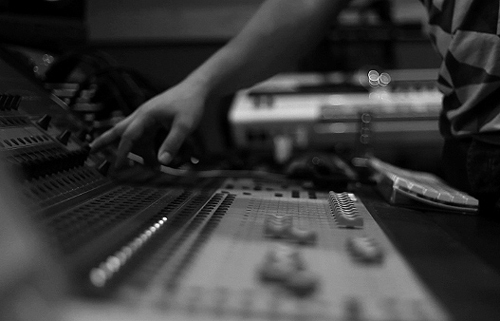 And how do you manage to combine all the different styles and sounds used on your songs? Is it spontaneous or is it planned? 100% Spontaneous. 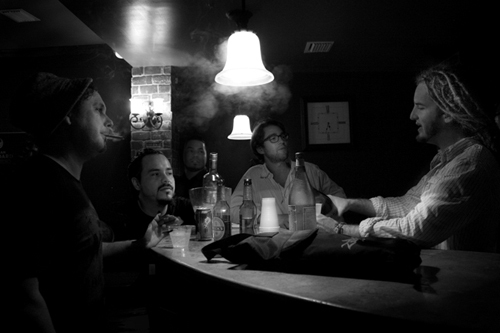 All of the Locos members have a job in the band but when it comes to writing material, there are no rules or formulas. Many times I’ll start the songs with a guitar riff or chord progression, then Javier (Drummer) and Mickey (Percussion) layer the drums and tamboras which along with the bass are the foundation for the songs. 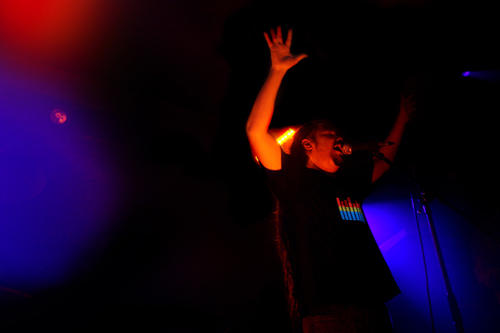 Then Itagui (Vocals) usually starts improvising lyrics till there is a marriage between all the sounds and melodies. Nice! 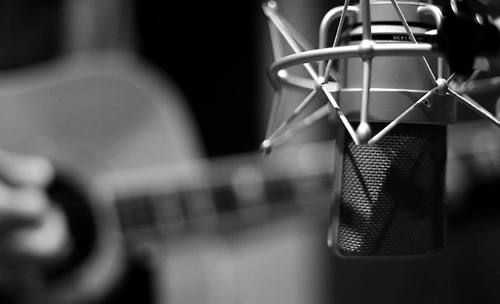 It is rare to find spontaneity in music nowadays. 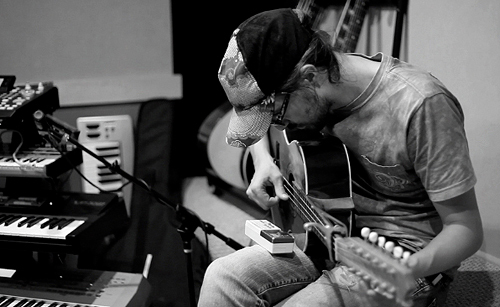 We all get inspired by different things… What inspires you as a band? Everything. People, Children, Beautiful Women, of course. YOU, my family the ocean.. We are very dependent of the energy of the things around us and the things we come into contact with. Last month we had the pleasure of being in up state New York while the leaves were changing colors, that inspires anyone with a heart beat.. no? I would say the same. I AM REALLY INSPIRED BY MY FAMILY. One of the reasons we have been able to maintain this band for 10 years is because we are more of a family then a band. There are times when things are tough but like a family we stick together and have faith in each other and get through it. There have even been times when some members have left the band for different reasons, but still they are a part of the LPJ family forever. Your latest production is called Evolucion. Is there a specific reason why? And you are killing it on iTunes!! How does it feel to be on a few top 10 lists? It feels good because some people were surprised that we left the major label (Universal) and went independent. 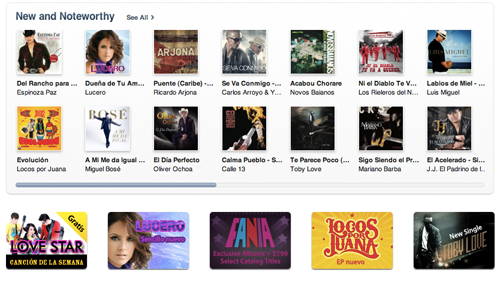 But this shows that today’s industry is changing, especially the Latin alternative market. 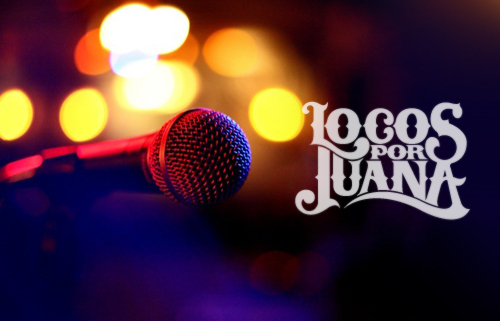 Locos Por Juana has been touring the US and Europe for a few years already, but is your upcoming tour your biggest and most important one yet being that you are scheduled to visit your homeland, Colombia for the first time? Yes Colombia is going to be one of those special shows that we will always talk about for the rest of our lives, and for now it will be one of the biggest shows and tours of our career, but we are always taking each show and tour one at a time and as the most important..
What other cities are you scheduled to visit and where does Locos Por Juana want to go to next? We will be In Shakori grassroots Fest in North Carolina, Latino Americano Festival in Charlotte, Voodoo Experience Festival in New Orleans, Navi Jazz Fsetival in Barranquilla Colombia, just to name a few.. Next for Locos will be to spread our sound to all of Latino America and Europe. I would also love to play in Asia as well, India, China, Japan..
Let’s talk about the CD cover. For those of you who don’t know yet, the artwork for Evolucion was designed by Servio Bernal aka Afromestiza, an extremely talented Colombian artist who has worked with many other artists like Manu Chao, and Sergent Garcia to name a few. Why Afromestiza? Do you believe in having an identity or presence in terms of design is important for a band? I would say it is more important than the music in many ways.. Music on it own is very powerful and in reality does stand alone with great weight, but in today’s world of advertising and images, a band or even a song with out a clear and strong design presence is only 50% ready to compete in the marketplace..
Ita, I met you in High School through drawings and graffiti black books (the good old days) Do you think art and music go hand in hand? How has art influenced you creatively when composing music? 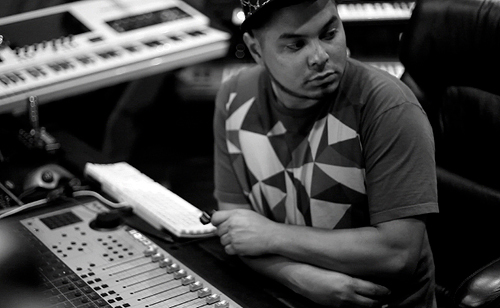 I know you have a new CD coming out next year, but what else are you working on? 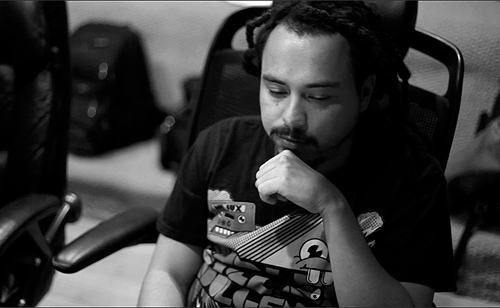 What can we expect from Locos por Juana in the near future? Thank you again guys for taking the time to share with us. Congratulations on your success, and best of luck in your upcoming projects and tours! Awesome interview! I saw them play live recently and they are amazing. These guys are great, and I agree, if you see them live you will be a fan. This logo is amazing. It represents the band perfectly, it is unique and it is timeless! Once combined with the CD art, it looks even better and truly brands the band and sets them apart from the rest. So refreshing to see logos like this one in times when companies like The Gap and co. are giving us crap. Well done! If this were true it would be a beautiful thing…can’t wait for the ‘documentary’. Great logo and overall look! I didn’t know of this band until now, but have to say the design definitely combines the music and imagel of the band seamlessly.